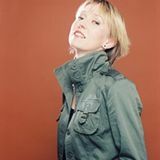 Helen presents Dinner Jazz on Jazz FM, Wednesday to Friday from 7pm. It&apos;s the perfect show for unwinding after a long day, or as an introduction to jazz for absolute beginners. You&apos;ll hear the greatest jazz of all time from artists such as Miles Davis, Ella Fitzgerald, Dexter Gordon, Pat Metheny and Billie Holiday plus homegrown stars such as John McLaughlin, Ian Shaw, Liane Carroll and Tommy Smith.